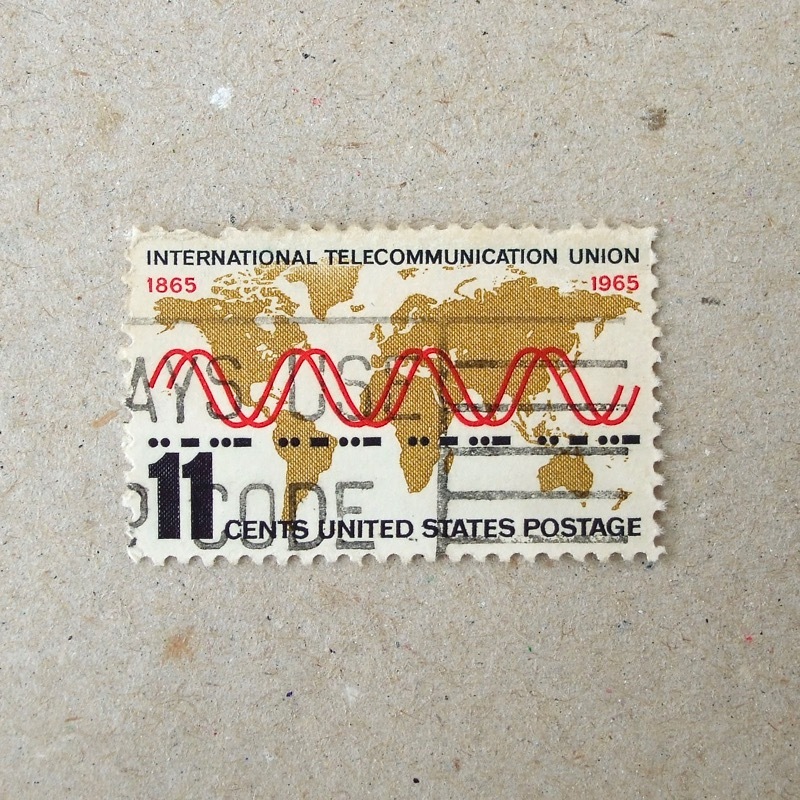 I found more stamps issued for the same theme, the 1965 Telecommunication Union. 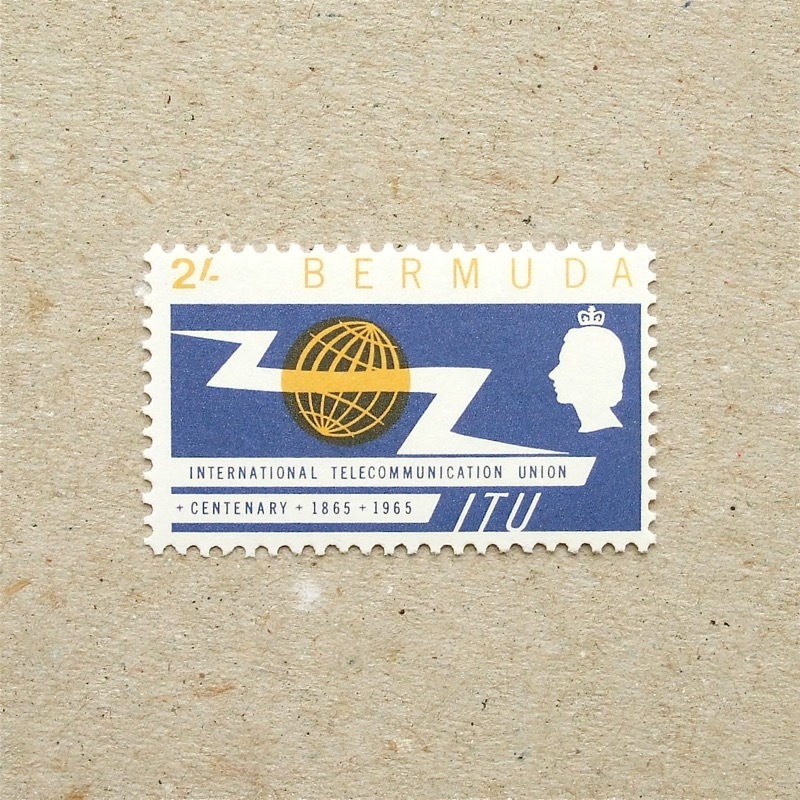 This set is from Bermuda, a British overseas territory, thus it has the silhouette of the Queen. 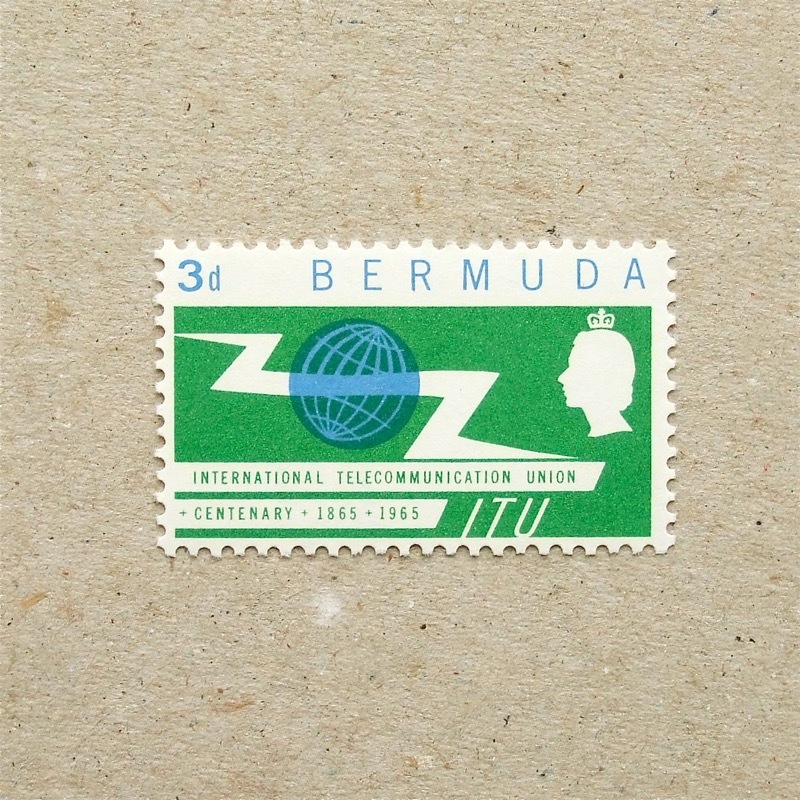 Apart from the Queen, the designer made his/her own interpretation on the ITU’s design guidance – the zig-zag arrow is extended, making a nice and simple composition. It seems that the ITU ( or UIT ) had issued some design guidance to all the countries for these centenary stamps. Then each post office made their own version – some countries paid respect to the motif and layout, and other interpreted it more freely. This Ceylon ( became Sri Lanka in 1972 ) stamp is an obedience one, with their three official languages – Sinhala, Tamil and English. The most radical design on the same centenary is from Ceylon’s ex-suzerain country, the United Kingdom.